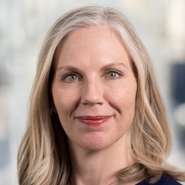 Principal Susan Smith (San Francisco) was quoted in an August 23 article in Bloomberg BNA titled, "Manhattan’s Rash of Legionnaires’ Outbreaks, Suits." The article focuses on a recent spike in reported outbreaks of Legionnaires’ disease in New York, and the rise in related litigation. Susan observes that the increase in Legionnaires’ disease litigation is a function of many factors, including the heightened attention to drinking water contamination incidents nationwide. While water contamination claims and litigation are on the rise, plaintiffs face obstacles including difficulty proving a standard of care, source, and causation.